Based on Jack Finney's highly popular 1955 science fiction novel The Body Snatchers, Philip Kaufman's Invasion of the Body Snatchers (1978) is quite possibly the most well-known adaptation to modern audiences, despite being a quasi-remake of the still-popular 1956 film directed by Don Siegel. Finney's fertile source material has even been adapted to film two more times since then; once in 1993 (Abel Ferrara's Body Snatchers) and again in 2007 (James McTeigue's The Invasion). At this rate, we've probably got another decade until the next one comes to Earth. Most circles rightfully consider the 1956 and 1978 versions as the best of the bunch...and for my money, it's a toss-up between the two. Both have a great sense of dread and suspense at their core, sourced from the illogical but irresistible presence of paranoia and conspiracy that exists in the brains of most people. Kaufman's update smartly trades in the original's small-town atmosphere for urban sprawl, where looming cityscapes and neon lights thrust its characters into sensory overload. But the real sense of fear arrives after the discovery of mysterious flowers by Department of Health employee Elizabeth Driscoll (Brooke Adams) and co-worker Matthew Bennell (Donald Sutherland) eventually lead them to the startling realization that their friends, neighbors, co-workers, and just about everyone else in San Francisco are not who they seem. Within their close-knit circle---at least for the time being---are Matthew's friend and popular psychiatrist Dr. David Kibner (Leonard Nimoy), writer Jack Bellicec (Jeff Goldblum), and Jack's wife Nancy (Veronica Cartwright), who runs a local bathhouse where the first real evidence is discovered. Is there more than what's on the surface? Obviously, or both the source material and Kaufman's adaptation wouldn't still be talked about decades after their release. This production is absolutely stacked with talent: the committed cast and director for starters, and the contributions of screenwriter W.D. Richter (Buckaroo Banzai, Big Trouble in Little China) aren't far behind. The sights and sounds, though, are what really sets this version of Invasion of the Body Snatchers apart from its competitors: the cinematography by Michael Chapman (The Godfather, The Last Detail, Jaws, and Taxi Driver) drives the film's incredibly tense atmosphere from start to finish, while the first (and only!) score by jazz musician Denny Zeitlin and the sound contributions by the likes of Ben Burtt only deepen the film's sense of dread. 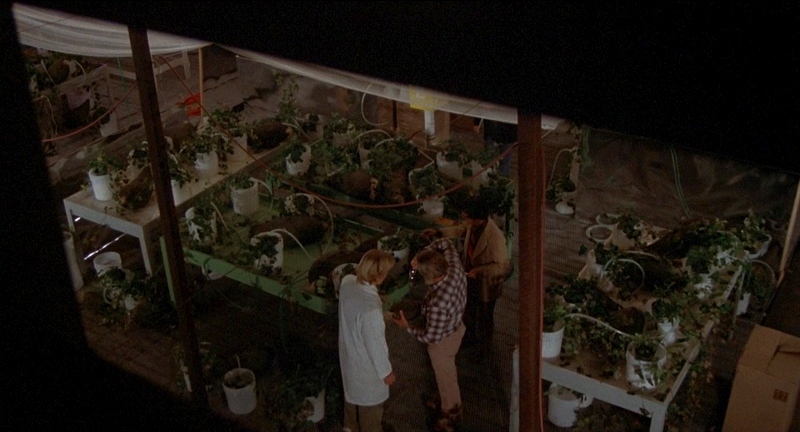 Overall, Invasion of the Body Snatchers is a reliable "total package" production, enjoyable as a straightforward slice of sci-fi/horror or a layered examination of where we were---and in some ways, still are---as a society. Like the source material, this 1978 adaptation has earned no shortage of releases on home video, the most recent being MGM's 2007 Collector's Edition DVD and 2010 Blu-ray, as well as Arrow's 2013 Region B Blu-ray with additional extras. Shout Factory's new Collector's Edition Blu-ray ups the ante somewhat, promising a new 2K-sourced transfer and even more extras (which are, to some extent, different from those on Arrow's disc). It's all a bit confusing...but in just about every department, this looks like a rock-solid release that fans should enjoy from start to finish. Presented in its original 1.85:1 aspect ratio, this new 1080p transfer of Invasion of the Body Snatchers (sourced from a new 2K scan of the interpositive) looks...well, not all that much different than MGM's 2010 Blu-ray. The fact is that Body Snatchers has never looked flawless on home video: there's a fair amount of noise, image detail is good but not excellent, and the colors lean towards the muddy side. (Some of these issues were either intentional or forever "baked in" to the source material, just to be clear.) If anything, though, what we get here is an ever-so-slight improvement overall, as contrast levels look a more natural with little to no signs of boosting. 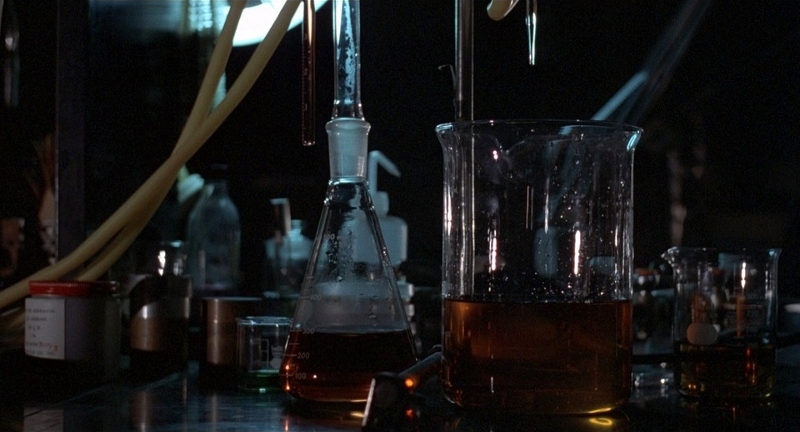 This also allows for a bit more organic depth and detail, as well as less noise during the darker scenes. Colors are a bit different this time around with a slightly colder appearance overall---it's not drastic, but it is noticeable---although other scenes are a bit redder than the older Blu-ray. The framing also shows more information on all sides, which doesn't hamper the compositions at all. Overall, Shout's disc is the winner but it's not exactly a major improvement in any category. Both audio options (a tasteful English 5.1 DTS-HD Master Audio track and the original 2.0 DTS-HD Master Audio Surround mix) have been ported over from the MGM Blu-ray and sound as good as ever: Body Snatchers was an early showcase film for Dolby's fledgling audio technology, both for its creative uses of placement and the unsettling real-world effects created by the likes of Ben Burtt (fresh off of Star Wars). Overall, both tracks are enjoyable with only the slightest moments of source material limitations; dialogue, music, and effects are balanced quite well and rarely fight for attention. Optional English subtitles have been included during the main feature only. The interface is presented in Shout's typical no-frills style and features smooth, simple navigation and the bare minimum of pre-menu distractions. Separate options are provided for chapter selection, subtitle/commentary setup, and additional bonus features. This one-disc release is housed in a standard keepcase with attractive reversible cover designs featuring new and vintage artwork promoting the film, plus a matching slipcover to boot. New to this release is a feature-length Audio Commentary with author/film historian Steve Haberman, who does a respectable job of filling this track with insightful observations and trivia without repeating too many well-known stories. Also new here are four Interviews with key cast and crew members: "Star-Crossed in The Invasion" sits down with actress Brooke Adams, "Leading the Invasion" joins actor Art Hindle (Dr. Howell), "Re-Creating The Invasion" chats with writer W.D. Richter, and " Scoring the Invasion" catches up with composer Denny Zeitlin. 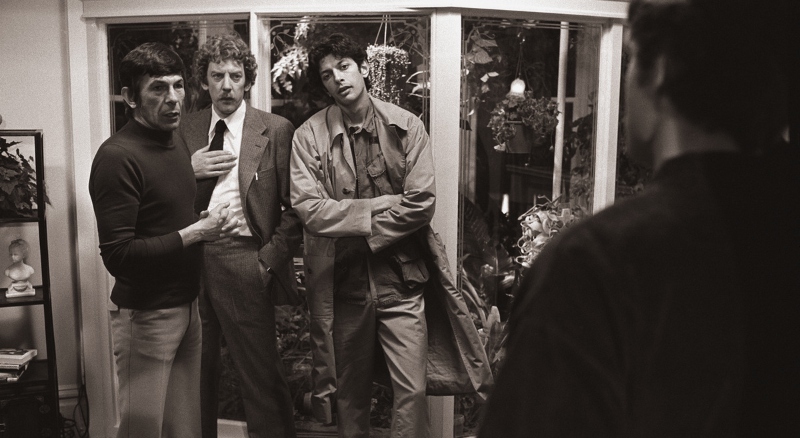 All four are in good spirits and cover such topics as previous (or later) work with director Philip Kaufman, initial casting, the on-set experience...and of course, their gratitude for being involved with a production that's still being talked about. But that's not all! Also hiding near the end of the list are a few fun little nuggets that haven't appeared on previous releases. These new-to-disc extras include a handful of TV & Radio Spots (the former are quite rare and sourced from VHS), a Photo & Poster Gallery with about 75 minages, and even a full 26-minute Episode of Science Fiction Theatre ("Time is Just A Place", based on a short story by Body Snatchers author Jack Finney). Directed by Jack Arnold, this charmingly dated, occasionally prescient (a Roomba! ), and enjoyable 1955 production is hosted by actor and former war correspondent Truman Bradley, and was just the second of the show's 78 episodes. The A/V quality is a little rough on this one, but it's still in better shape than the versions I've seen on YouTube and VHS. Carried over from MGM's Blu-ray/DVD are plenty of fine supplements including an Audio Commentary with director Philip Kaufman (making its Blu-ray debut, even! ), four Retrospective Featurettes ("Re-Visitors From Outer Space, or How I Learned To Stop Worrying And Love The Pod", "Practical Magic", "The Man Behind the Scream", and "The Invasion Will Be Televised"), and the film's Trailer. Together, it's a near-perfect mix of extras that fans will enjoy. Missing in action is... nothing from any previous Region A editions. Arrow released a well-regarded Region B Blu-ray in 2013 with three exclusive featurettes, and it's not surprising that they haven't been included here. 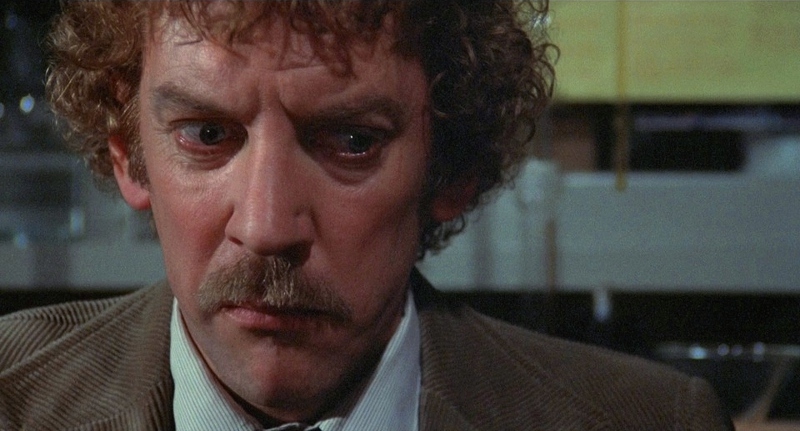 Philip Kaufman's adaptation of Jack Finney's The Body Snatchers is, without question, one of the better "remakes" (for lack of a better word) in any genre, both for its relentless, big-city paranoia and its terrific practical effects. The capable lead cast turns in a handful of great performances, while the clever sound design and Michael Chapman's artistic cinematography really set the mood from start to finish. It's also got strong replay value, thanks to an overflow of little details and subtle clues lurking in almost every frame. Shout Factory's excellent Collector's Edition easily beats MGM's already-great 2010 Blu-ray; the A/V presentation isn't much improved, but the well-rounded bonus features (a fine mixture of old and new material) give die-hard fans plenty to dig through. Highly Recommended.